Usually, I am all about fresh fruit as a snack and treat. But when Halloween comes along, if I can’t get kids (or their parents!) to take an apple from me, then I am on to Plan B.
Halloween Candy! 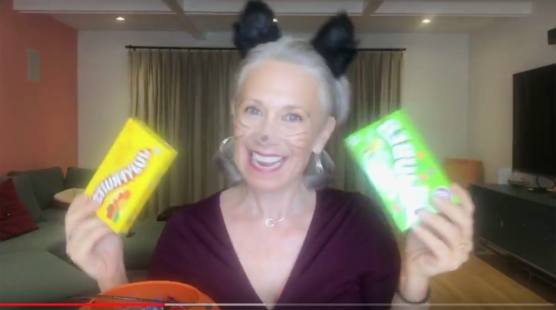 Here are my TOP TEN Halloween candies, which are totally, totally dairy free! Enjoy! Please know that whenever possible you want to stay away from processed sugar. That said, have a wonderful and safe Halloween!